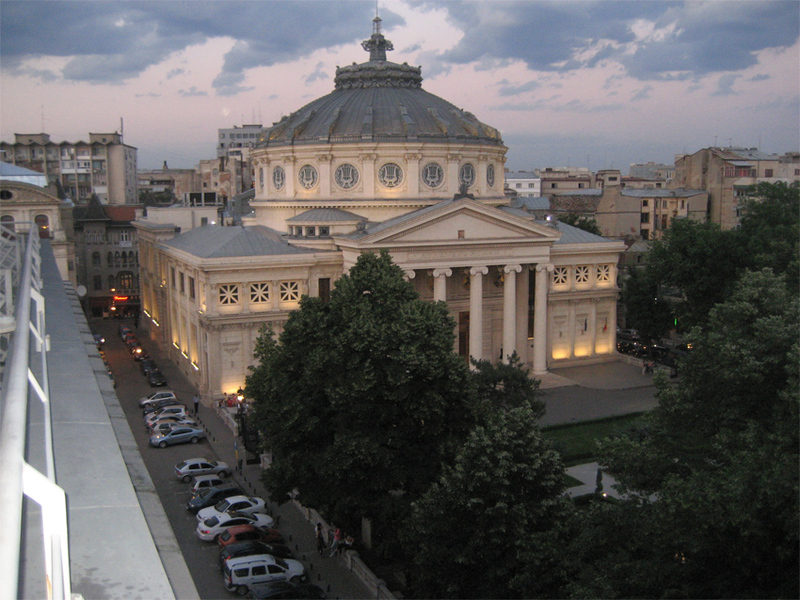 The building was designed by the French architect Albert Galleron, built on a property that had belonged to the Vacarescu family and inaugurated in 1888, although work continued until 1897. A portion of the construction funds was raised by public subscription in a 28-year long effort of which the slogan is still remembered today: “Donate one leu for the Ateneu!”. On December 29, 1919, the Atheneum was the site of the conference of leading Romanians who voted to ratify the unification of Bessarabia, Transylvania, and Bukovina with the Romanian Old Kingdom to constitute Greater Romania.